A Girl & A Gun Women’s Shooting League (AG & AG) announced its 4th Quarter 2017 Membership Appreciation Giveaway winners. Every quarter lucky AG & AG members win awesome prizes just for being members! A Girl & A Gun is pleased to announce that Tatiana Whitlock has accepted the position of Director of Training. Tatiana is an NRA Mom, certified NRA instructor, nationally recognized independent firearms instructor, speaker, and public figure, who has worked with AG & AG for the past five years. Her predecessor Kathy Jackson announced her retirement in 2017, and Tatiana will continue the work in this role to develop a formal education program to cultivate women firearms educators nationwide. A Girl & A Gun is excited to announce that it has partnered with Tony Pignato for 2018. Tony will drive our strategic marketing plan to give each of our sponsors and affiliate partners the best possible return on marketing investment for the 2018 AG & AG National Conference and the AG & AG Brownells Ladies’ Multigun Fall Festival. The strategy includes optimizing the social media reach of AG & AG, establishing strategic media partnerships with influencers, creating engaging and exciting content for our event and our partners, and increasing awareness of our organization, events, and sponsors through proven marketing techniques. For the second year in a row Ashley Rheuark was the overall winner of the Brownells Ladies’ Multigun Fall Festival. The 2017 Fall Fest Match took place this past weekend at Rockcastle Shooting Center in Park Mammoth, KY. Shooters included 117 female competitors, who tackled 8 challenging stages and 2 side matches over 2 days. A Girl & A Gun (AG & AG) hosted a training for female law enforcement on August 9-11, 2017, at the American Police Hall of Fame in Titusville, FL. Participants included five law enforcement officers (LEOs) and three civilians. A Girl & A Gun (AG & AG) introduced a revolutionary program for women shooters that will change their lives. 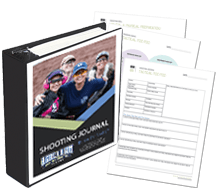 The Tactical Foo-Foo MasterMind Program is 90-day program that complements the AG & AG Shooting Journal with recurring webinars and activities to help women achieve their personal and shooting goals. Performance Coach Kelley Moore will give participants the secret weapons to mastering disruptions, hecklers, and hijackers in their lives. 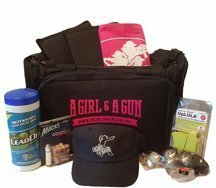 A Girl & A Gun (AG & AG) announced its 1st Quarter 2017 Member Appreciation Giveaway winners. Rebecca Binder of Snook, Texas, was the winner of the Undercover Blacknitride Revolver sponsored by Charter Arms.